Lamar University announces receipt of $1,154,116 in funding from the Rebuild Texas Fund and the Qatar Harvey Fund, both of which were created after Hurricane Harvey to aid in the long-term recovery of southeast Texas. Dance Unleashed, is a family-friendly concert featuring ballet, hip-hop, modern, jazz, tap and contemporary dance styles. The event will showcase distinctive, original works choreographed by Department of Theatre and Dance faculty. 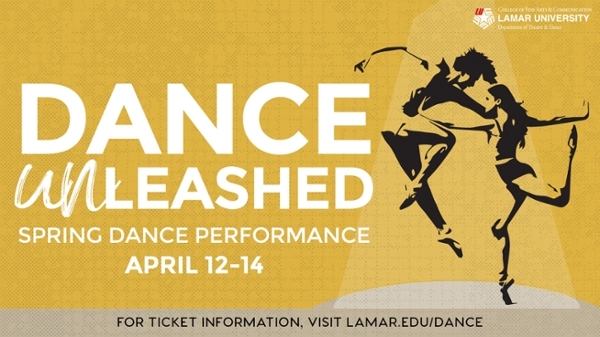 For ticket information, visit lamar.edu/dance. History in Motion: "12 Years a Slave"
You are shaped by every moment of your life, and that makes you unique. At Lamar University, education is based on your individual needs to give you the tools for success in graduate school and your career. With personal learning experiences for each student and an array of hands-on opportunities, LU makes your time count. Make the most of your moments here at Lamar University.